The Guardian’s cover is a thing of wonder – the wonder being did anyone read it before going to print? 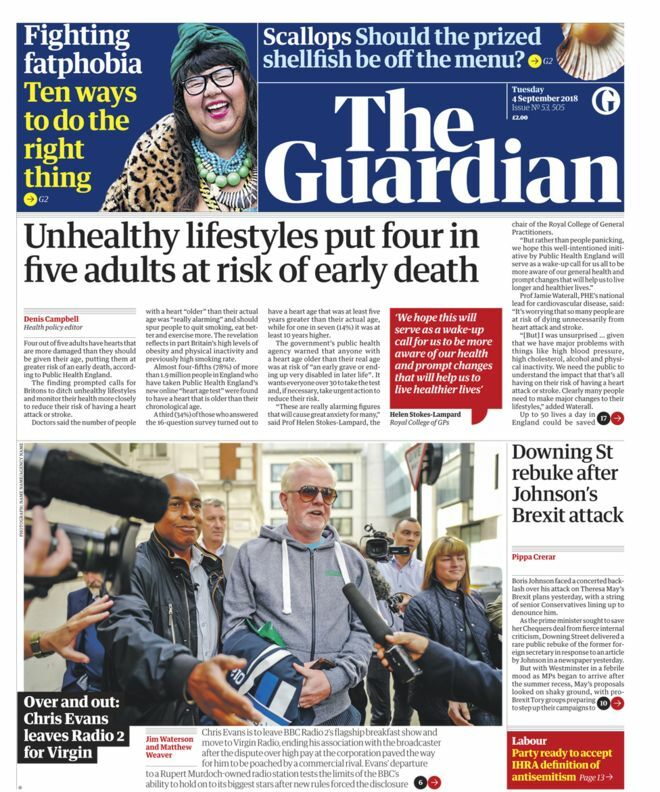 Having invited readers to “fight fatphobia – ten ways to do the right thing” (well, if it’s a phobia, you should seek therapy or avoid the fat let you feel physically ill), the Guardian tells readers that “unhealthy lifestyles put four out of five adults at risk of an early death”. You’ve got a problem that need fixing if you look at someone whose obese and think them unhealthy – but don’t worry because 80% of them should die before you. True enough being fat was once a sign of being jolly; whereas now you’re a victim and scourge of the NHS. But the juxtaposition of those competing headlines is dire. An it’s underpinned by those ‘Ten Ways’, including: “A fat activist once said clothing was the alphabet we used to express ourselves – and fat people have fewer letters.” What about XXXXL? Make it a rule not to use language that focuses on your own or others’ weight. We have no idea what someone is going through, whether they are dealing with body shame or trying to heal from an eating disorder. When we stop using this kind of language altogether, we create an environment in which people of all sizes can coexist without a sense of weight surveillance.